Developing communication and speaking skills in a class full of non-native speakers is definitely a complex and challenging task. How can a non-native English teacher trigger a spark that will ignite students’ interest and set them on course to be ready to speak in a completely unknown foreign language? Keywords: Secondary level students, Communication Skills, Speaking Skills. 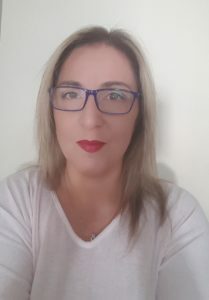 Katerina Mantadaki is a Teacher & Teacher Trainer, specialising in Teaching English to students with Dyslexia and other SEN.